The competition never sleeps. 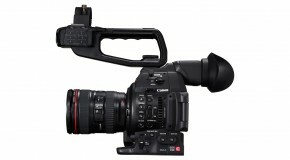 Canon seems to have realized this well-known business fact as the Japanese company just has dropped the prices of their Mark II lineup of EOS cinema cameras, namely the C300 Mark II and the C100 Mark II. 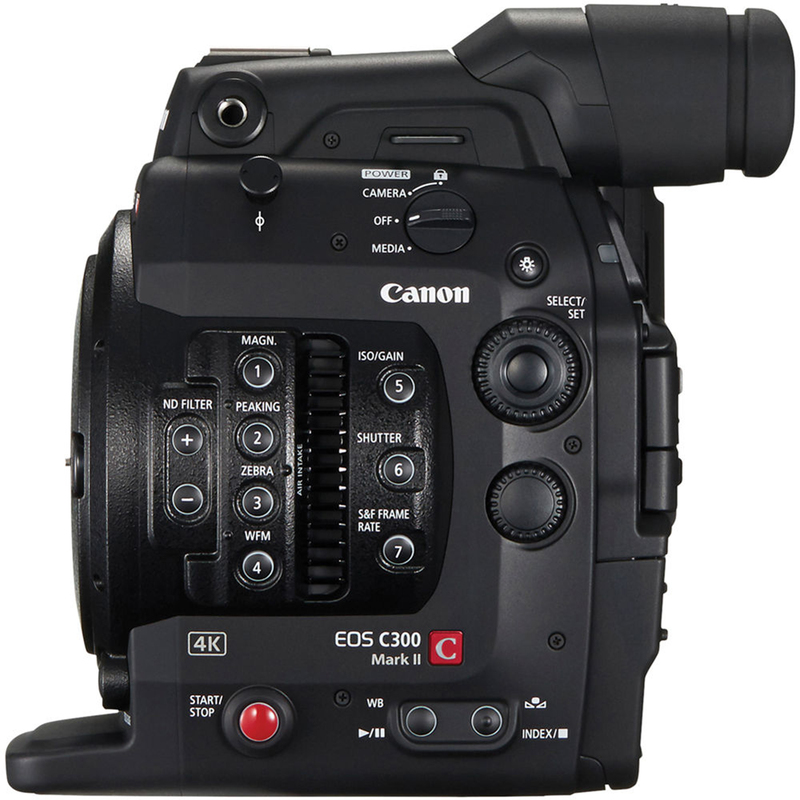 When it was introduced the Canon C300 Mark II was a whooping $15,999 camera body. It has its strengths and certainly the camera has its weaknesses, but in the end it was (and is) a remarkable piece of technology and a well-thought-out evolution to the original C300. Check out our coverage on this camera here (review), here (pros & cons) and here (lab test). 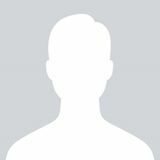 Thing is, most users including myself found the camera way too expensive to buy. As of today, you can get the camera body for a significantly smaller amount of cash as it is listed for $11,999 at B&H. For our European readers it’s also available at CVP for €9,525.09. That’s $4,000 less than the original price. 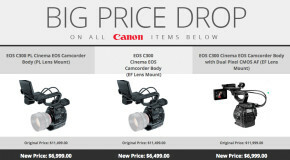 I have a strong feeling that Canon is trying to get in the realm of a RED Raven and a Sony FS7 with this price drop. 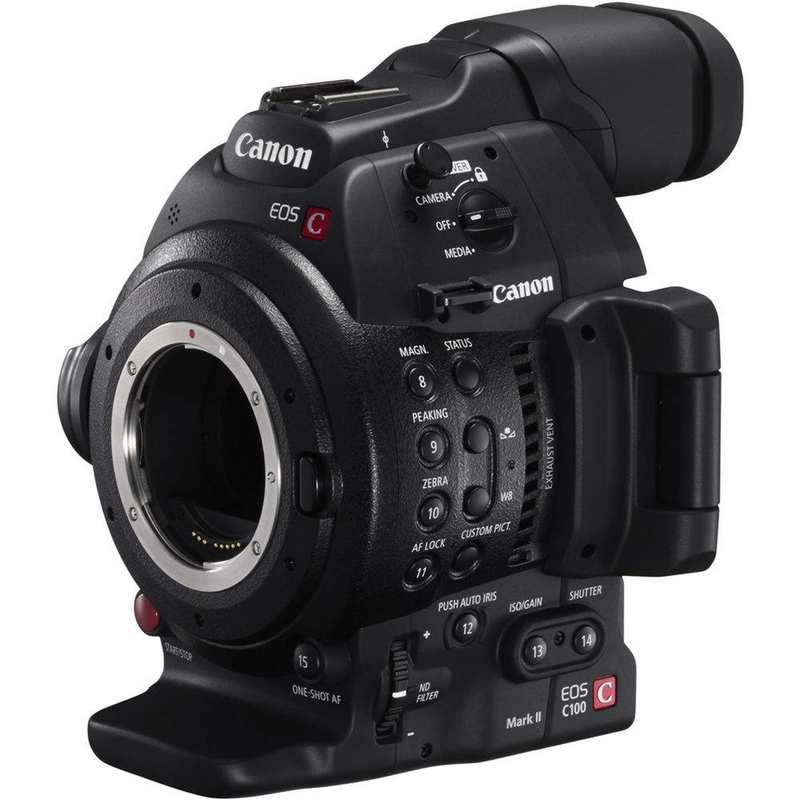 And it may be that the company is even peering in direction of the Sony FS5 and the Blackmagic URSA mini, which is why the C100 Mark II got the price drop treatment too. The C100 Mark II is quite a good camera (make sure to check out Johnnie’s review) but it lacks some advanced features and definitely shows some weaknesses when it comes to bit depth and choice of codecs. Anyway, it’s a better deal as of today if you want to keep the price down. For $3,999 (body only) it could be yours and that’s quite a deal, I think. 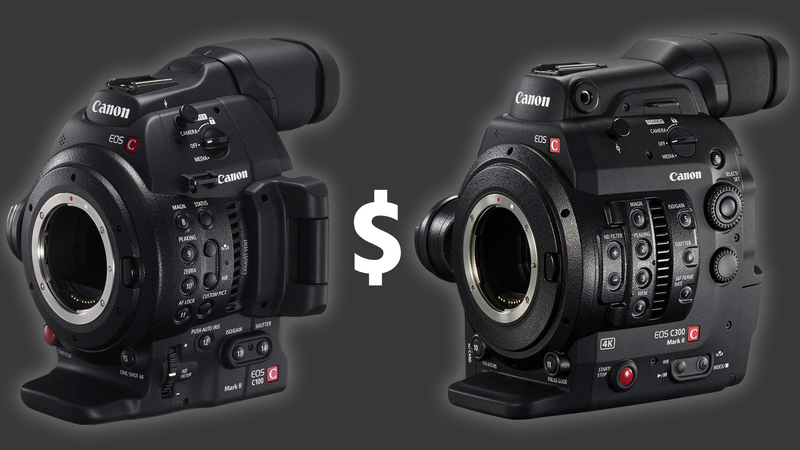 EDIT: As some of our readers have mentioned in the comments, the price for a C100 Mark II already has been reduced some time ago. Just to be sure, please note: the $1,500 price drop only applies to the original $5,499 (suggested retail price). I’m a huge fan of Canon’s signature color science which produces very pleasing skin tones right out of the box. On the other hand, Sony is very competitive when you study the pure specs of their lineup of cinema cameras. 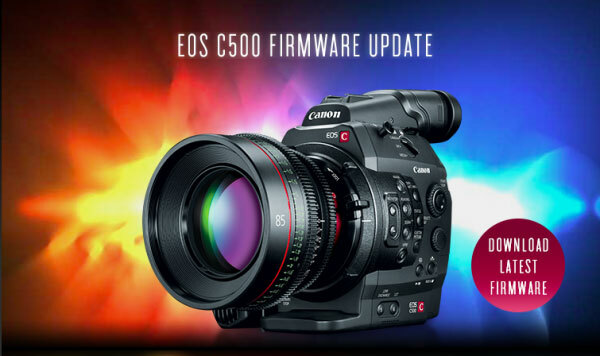 The FS5 is more expensive than the C100 Mark II –well now it is– and it has some very neat features built in, such as the variable ND filter. In order to get proper intra frame codecs and a post-friendly bit depth, you’ll need an external recorder for both cameras, though, such as the Odyssey 7Q+. The URSA Mini is well ahead in this race, but it lacks, in my opinion, one fundamental feature: built-in ND filters! It’s a shame, but without these your workflow will be slowed down significantly. At the other end of the affordable cinema camera spectrum you’ll find the RED Raven. It’s $6,950 but we all know you’ll end up well beyond $10,000 if you actually want to shoot with it. Well, it’s always the same: you’ll have to decide for yourself which camera package suits your needs best and which specs are made for you. 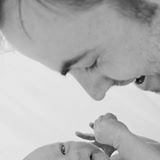 Variable ND is your thing because you are moving fast, run & gun style? Get a FS5! Need a proper codec for serious post production? 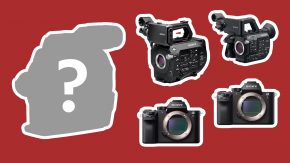 Maybe a C300 Mark II or even a RED Raven is the right tool for you! With the price drop on the Canon lineup the decision doesn’t become any easier at all, but you’ll end up with more choices. And that’s always a nice thing to have! What do you think? Have you already made your decision on buying a new camera? Which one will it be? I like the FS7 but I think you’re wrong. Well you just shot down any credibility you may have had with those silly words. You know NOT how to use a C. Regardless… You sound like a Sony sheep anyway. Have them both and the C’s applications dust the 7. Cheers! Canon Eos stuff is easier to use and fast right out of the gate. Take your pick. High frame rates and crap color or better color and fewer frame rate options. Now ask yourself what do clients and broadcasters want?